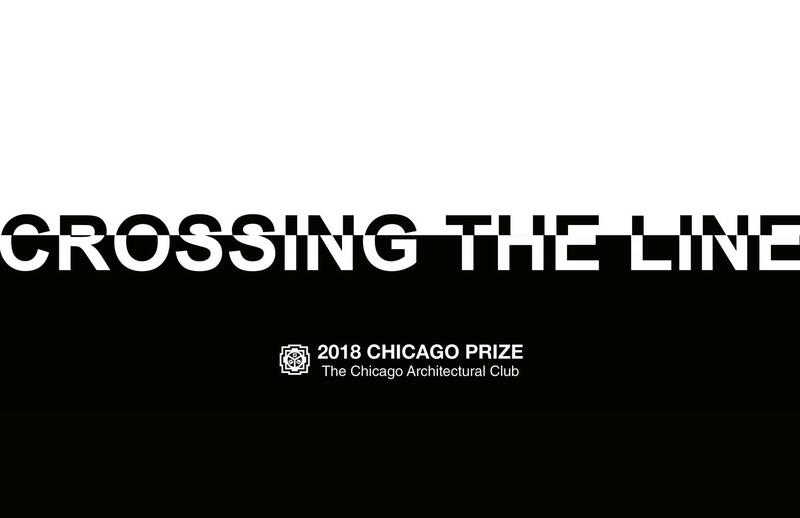 The Chicago Architectural Club (CAC) is pleased to announce the 2018 Chicago Prize Competition: Crossing The Line. A call for entries for the 2018 Chicago Prize is taking place as of November 30th, 2018 with the announcement of the winning entries in February of 2019. The 2018 Chicago Prize Competition: Crossing The Line is part of a year-long investigation of the architectural and social construct of the line. Through programming that includes this competition, an exhibition, as well as lectures and other events, Crossing the Line will investigate the physical and conceptual implications of different types of lines and their impact on our built environment. This is an international ideas competition calling for visionary proposals that cross the line. Participants are asked to select one or multiple material and/or immaterial lines that form Chicago, identify their significance, and propose a design that addresses the urban ramifications of these lines. Entry information, including a complete set of rules, can be found at www.chicagoarchitecturalclub.org. Entries are due by noon, January 21, 2019. A jury of notable professionals, academics, and public officials will review and determine competition winners. The jurors will be listed on the Competition Website (www.chicagoarchitecturalclub.org).